SURO Research: Duncan Laboratory, Physical Chemistry. 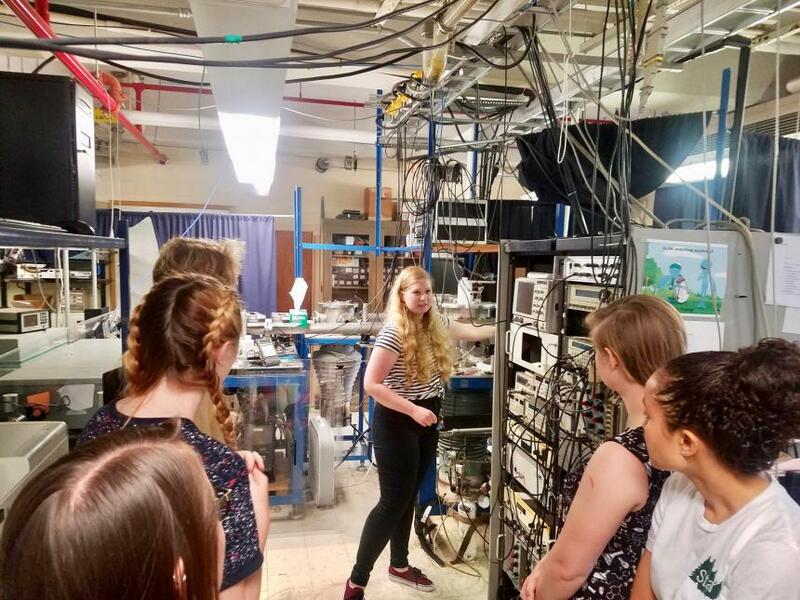 Sydney measured the spectrum of potential interstellar ion CH2NH2+ using infrared laser spectroscopy and confirmed the spectrum with theory. 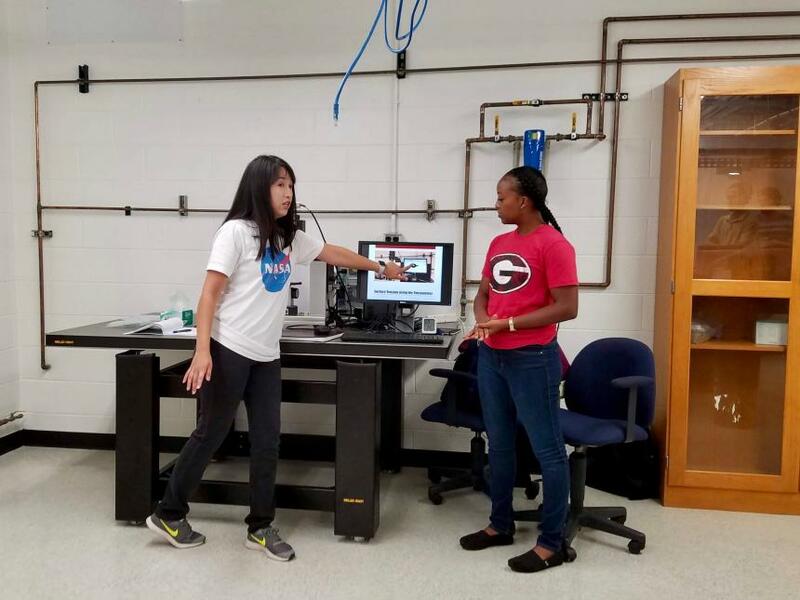 Jasmine worked with fellow SURO student Marlyne to measure the surface tension of seawater samples using pendant drop tensiometry and run photochemistry experiments in a solar simulator. SURO Research: Robinson Laboratory, Inorganic Chemistry. 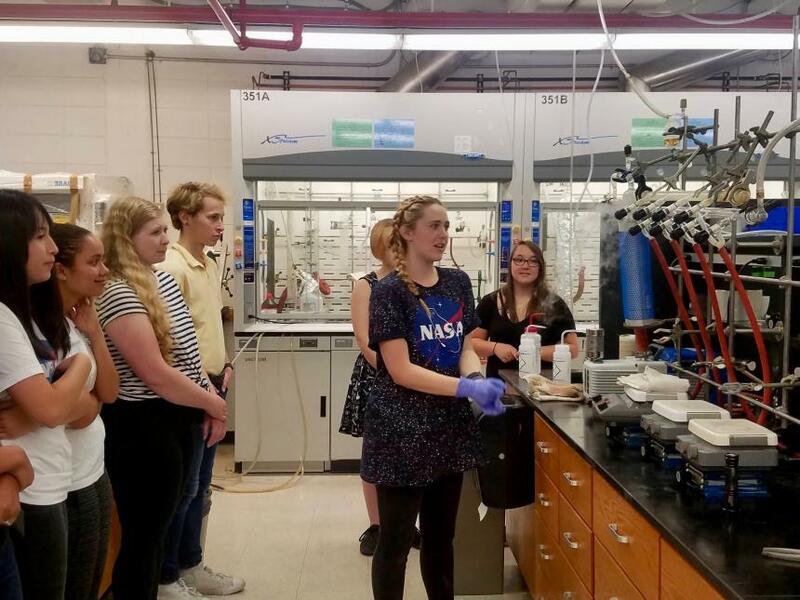 In Kaitlin’s research, she explored the synthesis, molecular structure, and equilibrium dynamics of the 1,3,2-diazaborole-derived carbene-BX3 complex (X=Br, I). SURO Research: Frossard Laboratory, Analytical Chemistry. 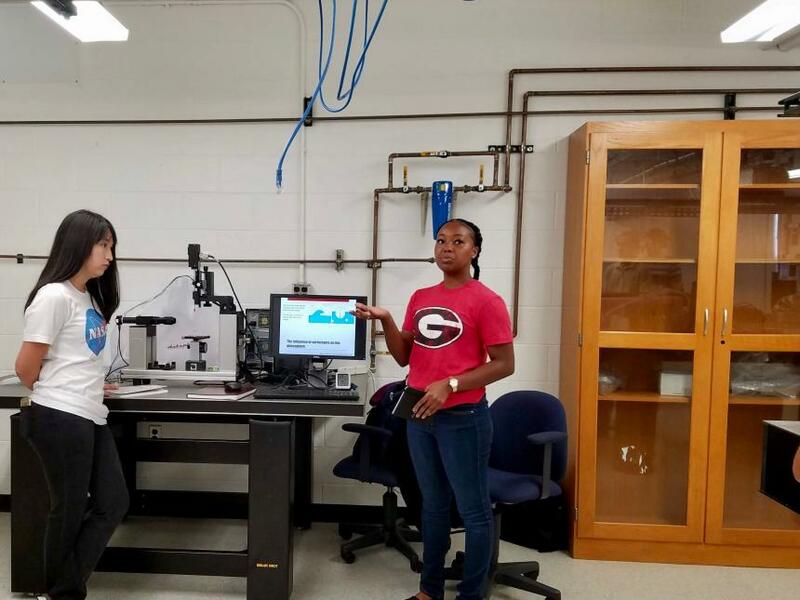 Marlyne worked with fellow SURO student Jasmine to measure the surface tension of seawater samples using pendant drop tensiometry and run photochemistry experiments in a solar simulator. SURO Research: Douberly and Frossard Laboratories, Physical Chemistry. 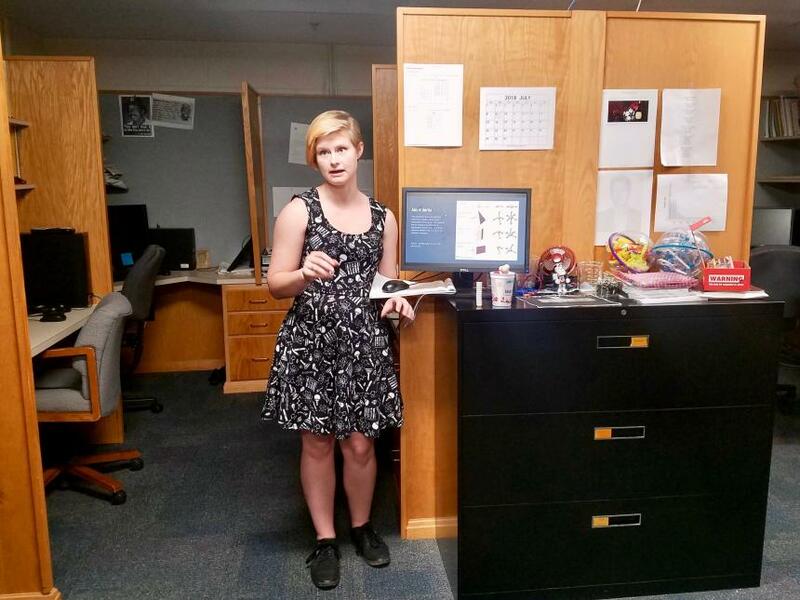 Rebekah’s research focused on high level geometry and frequency calculations of n-propyl and i-propyl radicals and O2. 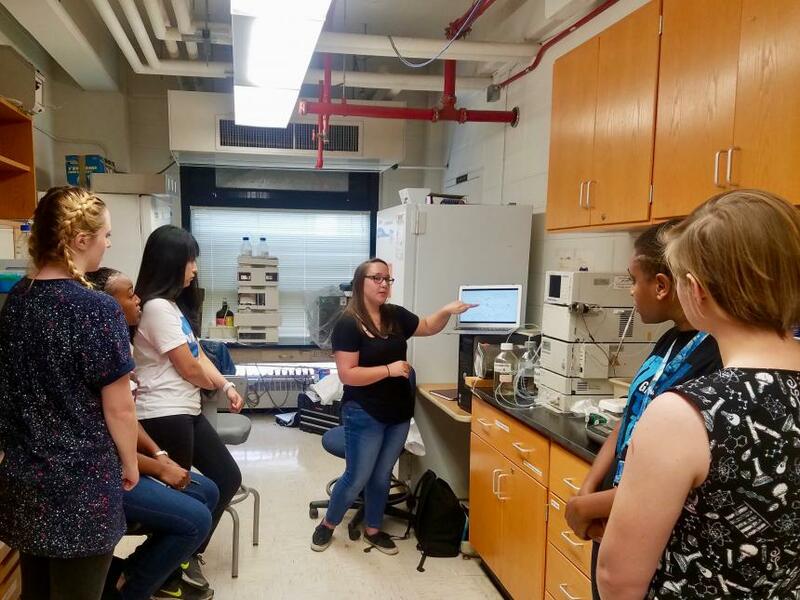 SURO Research: Douberly Laboratory, Physical Chemistry. 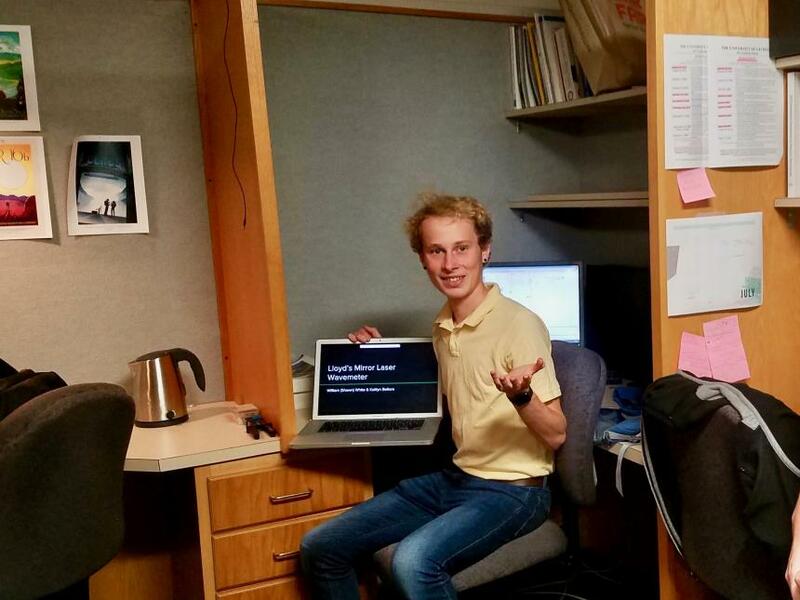 William’s research consisted of designing and optimizing a visible wavemeter.